The location was excellent! Everyone was very helpful and really went out our their way to help us when we had any questions or concerns. I highly recommend staying here. We also had a great view of the estuary as well as the harbor. We had great sunrises and sunsets:) thank you!! The location is superb, the staff are very friendly and the view from the superior view apartment is fabulous. Apartment located across the street from the beach. Easy walking to the city center. Property hosts were very friendly and accommodating. Such a fabulous view from the apartment! Hosts were very welcoming and friendly. It is so convenient for the town and the beach. View from 2nd floor. Staff are friendly. Restaurant is good. A great hotel in a fantastic position. Everyone was friendly and helpful, and the hotel was clean and tidy. There is a restaurant attached and we enjoyed a couple of very good meals here. Location is perfect. We had an apartment overlooking the bay. Able to sit out on the terrace for breakfast even in February. 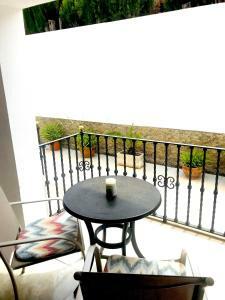 The hotel has an authentic Majorcan feel and is very homely. It is also very clean and well serviced. There is lots to see and do in the vicinity. We were able to park around the corner on the street with no trouble, (although it was not very busy being feb) There are two well stocked eroski supermarkets a short ten minute walk away. Loads of good restaurants. Friendly and helpful staff. Be aware that in February a lot of places are closed and getting ready for the tourist season. It is located in a perfect location, along the promenade, and nearby lake. The apartment is just like a cozy home, well-equipped, with super comfortable and good size beds, and with a fairly equipped kitchen. There's even lift in the building. Staff is very friendly and helpful. Lock in a great price for Apartamentos Torre Playa – rated 8.8 by recent guests! 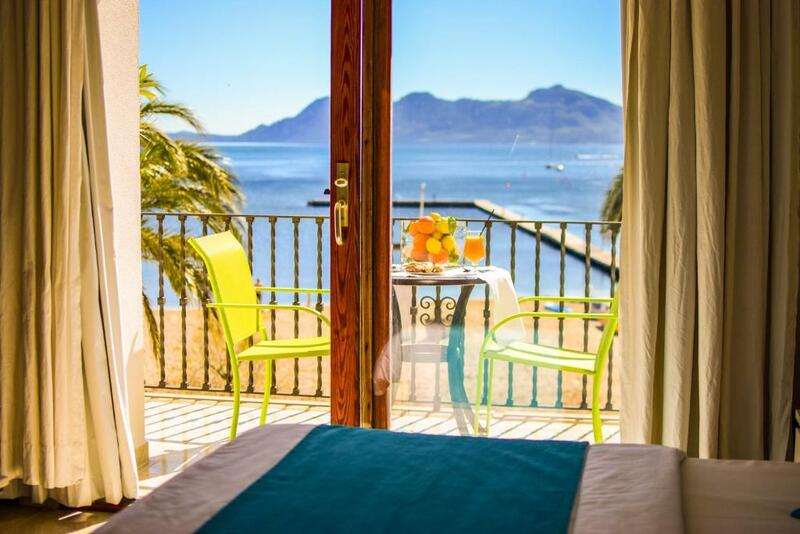 One of our best sellers in Port de Pollensa! 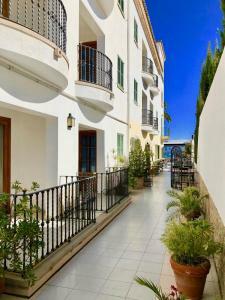 Apartamentos Torre Playa is located in the Mallorcan town of Puerto Pollença, next to the beach. It offers bright, beach-style accommodations with a private terrace and cable TV. 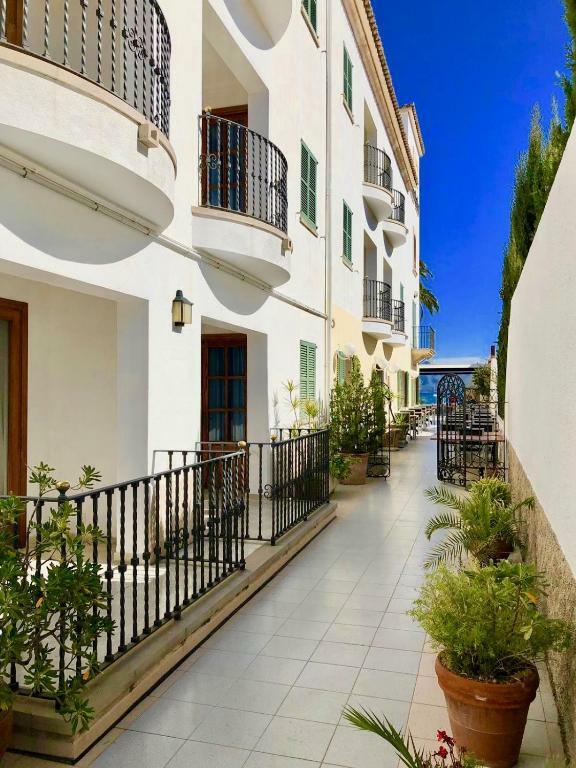 The apartments and studios at Torre Playa feature tiled floors and plenty of natural light. Each one has a kitchenette with an electric hob, microwave and a coffee maker. The beach next to the apartments is popular for water sports such as sailing, windsurfing and kayaking. You can also go scuba diving, hiking and cycling in the surrounding area. The center of town is just 350 feet from the Torre Playa, where you can find a range of restaurants, bars and shops. 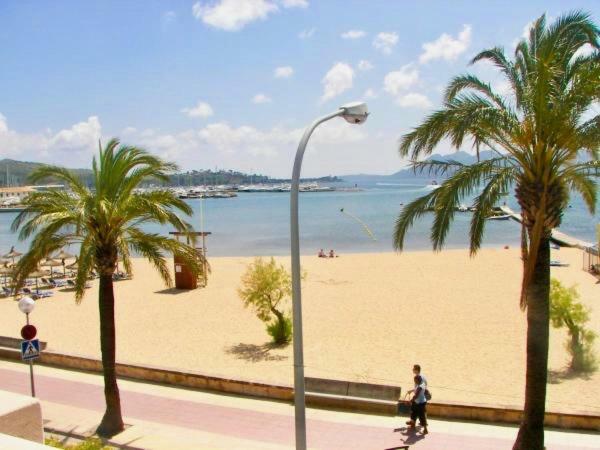 Palma city center and airport are less than 50 minutes’ drive away. 뀐 Located in the top-rated area in Port de Pollensa, this property has an excellent location score of 9.6! When would you like to stay at Apartamentos Torre Playa? This apartment has a twin bedroom and a lounge with a sofa bed and cable TV. There is a kitchen with an electric hob, microwave and coffee maker. The apartment also has a private balcony with views of a lake and partial views of the sea. This apartment has 2 twin bedrooms and a lounge with a sofa bed and cable TV. There is a kitchen with an electric hob, microwave and coffee maker. It offers sea views. 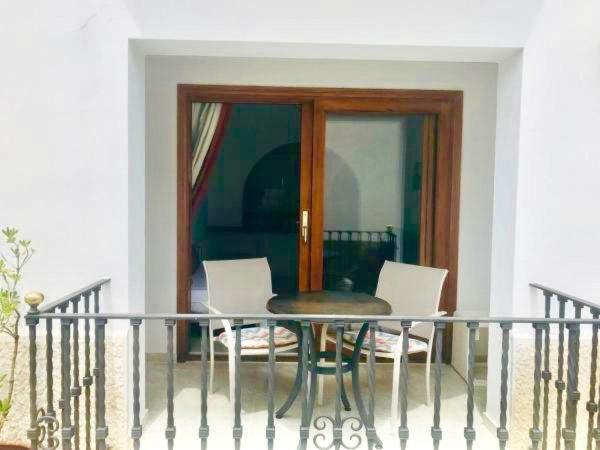 This studio features a private terrace, some of which offer sea views. It features a cable TV and a kitchenette with an electric hob, microwave and coffee maker. This interior facing studio has 2 single beds and 1 sofa bed. There is a fully equipped kitchen, seating area and a bathroom. This apartment has a flat-screen TV, kitchenware and oven. Torre Playa es un sitio mágico justo enfrente del mar dónde se respira tranquilidad y relax. Ideal para todo tipo de estancias. Es un establecimiento pequeño y familiar. Los apartamentos ofrecen todo el confort posible e independencia de los clientes. Trabajadores, humildes y siempre al servicio de nuestros huéspedes. Puerto Pollensa es una de las mejores zonas del norte. Un sitio ideal, comfortable y muy seguro. House Rules Apartamentos Torre Playa takes special requests – add in the next step! Apartamentos Torre Playa accepts these cards and reserves the right to temporarily hold an amount prior to arrival. The reception is open from 09:00 to 13:00 and from 16:00 to 19:00. Please inform Apartamentos Torre Playa of your expected arrival time in advance. You can use the Special Requests box when booking, or contact the property directly using the contact details in your confirmation. Apartment with kitchen and it had no supplies. No soap. No spices. Etc. Nothing, everything was spot on. Wi fi was iffy in the room but they really tried to get us better reception. The description of the "studio apartment" describes "bedroom one" and "living room". I though this meant that the bedroom was separate from the living area which is not so. It was not a problem for us, but I think booking.com should ensure there is no such ambiguity in the written description. However I do see that the photos have been updated since I booked and these show the configuration of the space more clearly. Dark room overlooking inner courtyard kitchen roof. Smoke and fumes from kitchen coming into room, so couldn't open doors or window. Soot from kitchen falling into room through air-conditioning unit (see pictures). Room very expensive for low-season. Shower head was broken. 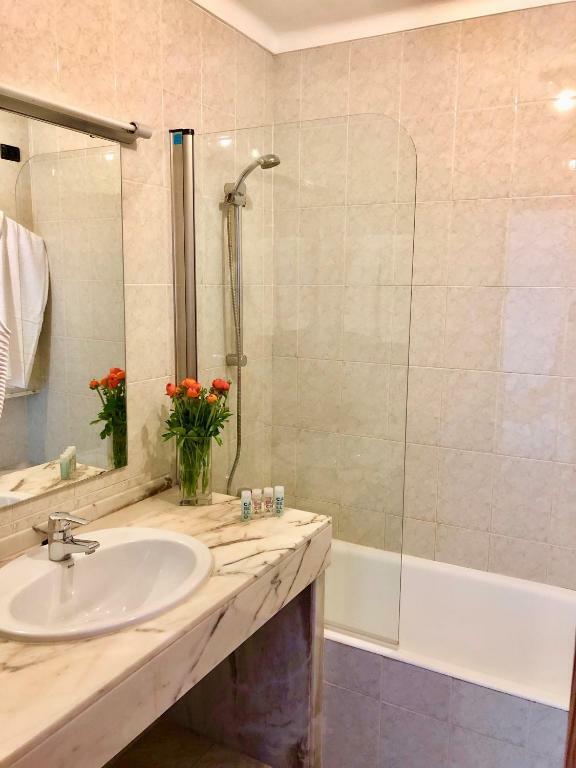 The floor was tiled, that I personally don't like in the bedroom, but it's really common in the Mediterranean, not only in Spain, and it is mentioned in the description.